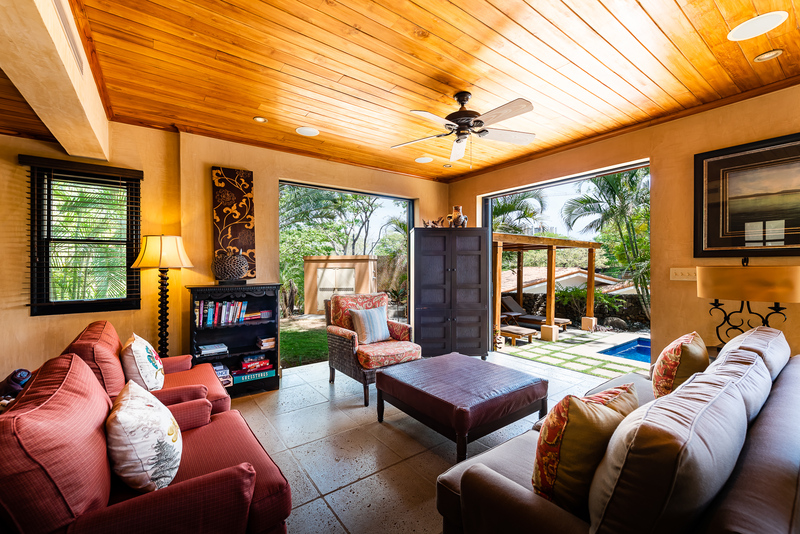 COLIB6 - Casa Colibri, located in Tamarindo’s “The Point”, offers easy access to the white sand beaches of Playa Langosta and Plaza Tamarindo and is part of the Tamarindo Preserve development and offers membership to the beachfront Langosta Beach Club. Completed in 2009, this wonderful three bedroom, two-story hillside villa with its own pool offers its guests the finest finishes and furnishings in a tropical setting. The house is part of a group of homes, but each house is set apart for maximum privacy and comfort. 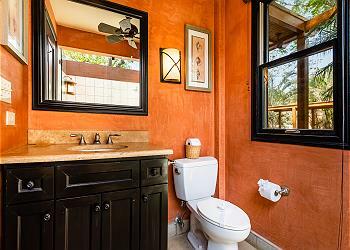 The first floor consists of living room, dining room, bath, fully equipped kitchen with stainless steel appliances and granite counter tops, and a blue-tiled pool. 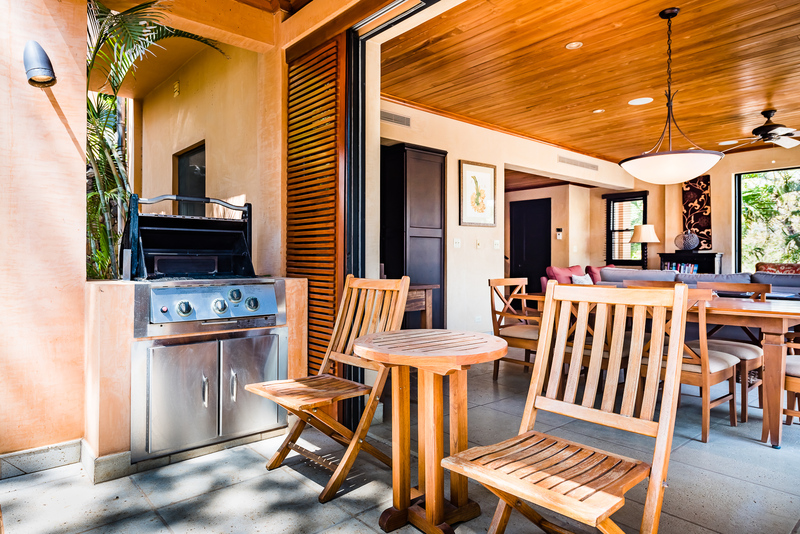 The outside barbecue/patio area is adjacent to a private green area with native fruit trees and tropical plants of Costa Rica. The second floor offers two master bedrooms with private baths and walk-in tropical showers. 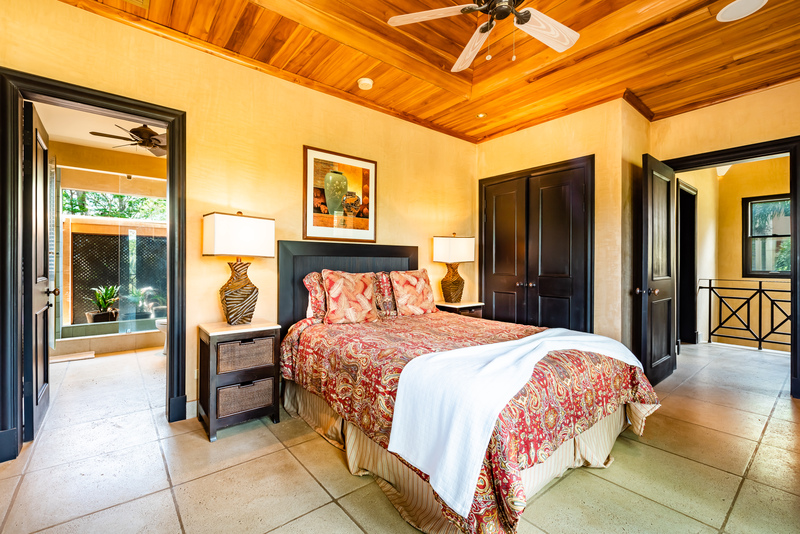 Each of the bedrooms has a small private balcony overlooking a garden area. 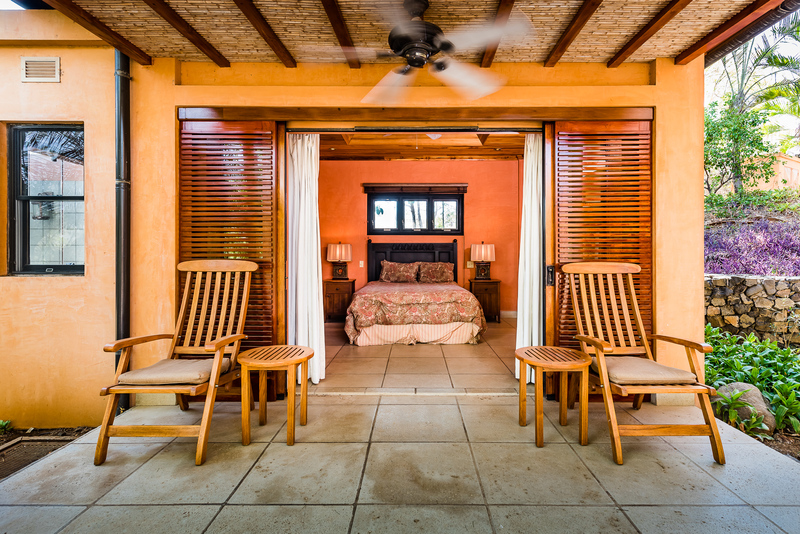 The third bedroom, also with en suite bath, is in a separate private cabina that opens onto the deck and pool area. A three minute walk down the narrow road just north of Casa Colibri is Playa Tamarindo - a beautiful white sand beach. 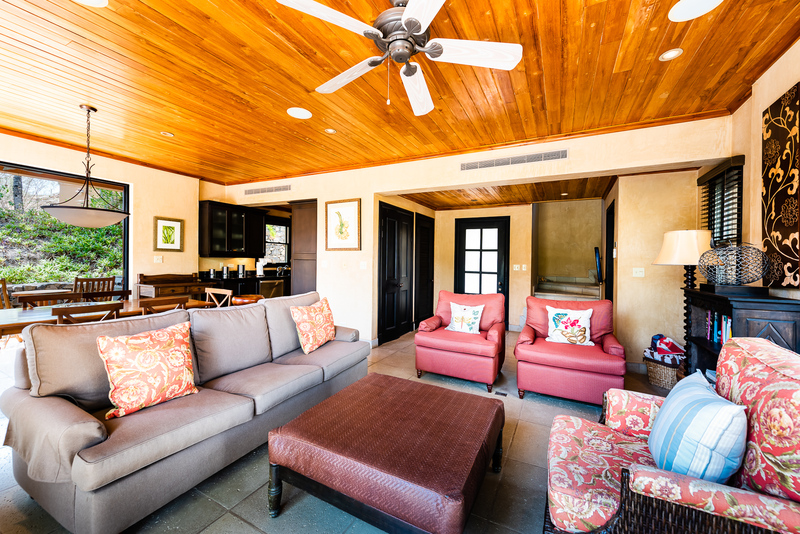 The house has complete access to the Langosta Beach Club giving your family an extra special retreat. The large pool and private cabanas offer a great relaxing way to spend the day. Enjoy the gym, eat lunch at the restaurant or just enjoy the lounge chairs on the beach. All (besides your food!) is included in your rental. The center of Tamarindo is less than mile away. A leisurely walk down Tamarindo’s famous beach will get you there in 15 minutes. There you’ll find restaurants, nightlife, shopping and great surfing at Playa Tamarindo. In the opposite direction from town is Langosta beach. Cross the Playa Langosta estuary and you will find miles of pristine beaches. The property was perfect! We walked to the tidepools and the kids would collect hermit crabs in buckets. The pool was perfect for when we weren't on the beach. We even had howler monkeys out our windows one night (loud, but very cool). Would recommend this place to anyone! The staff made arrangements for our trip and our outings with great speed. 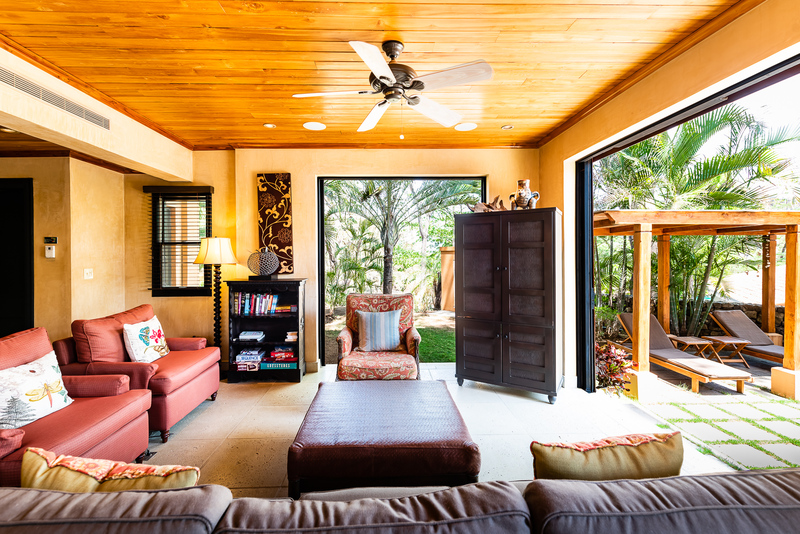 We recently stayed at Colibrí six for seven nights. There were four of us and we had a fantastic stay. The house was clean when we got there we had people come in to clean the house and the yard twice during our stay. Everything we needed was in the house. Location could not have been better, walking distance to the beach club into the supermarkets. The beach club was a great perk. It was unanimous that we would stay here again! RPM was extremely helpful to us during our stay as well and very easy to deal with ! Response:Thank you for the great review and details to help others pick this wonderful home! We look forward to you coming back and staying with us again! This is a nice house that has all the amenities for a great vacation. The bedrooms with ensuite baths were spacious. Plenty of room for 5 of us! The yard/pool is nice and we spent a lot of time out there. The howler monkeys, lizards and birds were in close vicinity, which was fun. 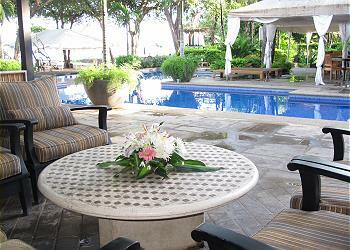 The location in the gated community was great and the area quieter than Tamarindo. The dishwasher needs replacing; does not clean dishes and the wifi is not reliable at all. Otherwise we loved it. RPM was accessible and very helpful with anything we needed and made out stay enjoyable. They were very good with booking our tours as well. Would use them again if we were to go back. Villa très bien équipée et confortable. Service impeccable de l'agence de location. Bien situé, près de la ville et de la plage. Sécuritaire. Seul inconvénient, le quartier est en construction et cela perturbe le calme à partir de 6h30 le matin. Response:Merci pour vos commentaires prositifs apres votre sejpur a la maison Colibri 6. Nous esperons que vous puissiez sejourner a Tamarindo de nouveau tres bientot!! Nous sommes aussi desoles pour les travaux de construction mais nous ne les controlrons pas malheureusement. Au plaisir de vous revoir!! The house is airy, bright and clean. We appreciate that it is beyond the owner’s control but there were FIVE (not one but five) construction sites around the house. The noise was horrendous from 5:30 am to 5:30 at night. Thank you to RPM for offering quieter alternatives - albeit smaller and without the much enjoyed Langosta Beach Club access. Also thank you to RPM for quickly addressing a broken microwave, a broken front door lock, a broken toilet flush and dead light bulbs. The Beach Club was our quiet home from home and Arnaud and his staff were kind and welcoming. We loved the iguanas, raccoons,, monkeys, etc. visiting the pool with one iguana needing rescuing from our shower! But for the noise, the house had great amenities for our month stay in beautiful Costa Rica. 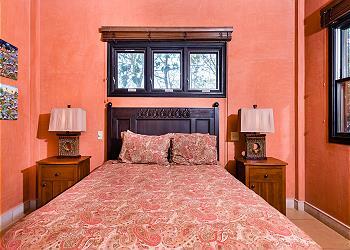 When arriving to Casa Colibri 6, we were taken back by the comfort and cleanliness. Everything we possibly could have needed was available in the kitchen and throughout the home. The layout was perfect for 3 couples- everyone had their own space, washroom, shower, etc. The pool was the cherry on the cake. The home allowed for an authentic Costa Rican experience as you were able to access any restaurants owned by locals typically (we rented a golf cart) or cook in the well equipped kitchen - there was absolutely no feeling of resort layout which was immensely appreciated. We are sonises to travelling to resort after resort and this was the most refreshing experience we have had. RPM made it easy as well- we had a driver waiting for us upon arrival, he transported us to RPM to grab the keys and then to the villa. He asked us if we like to stop for water and educated us on various things while driving to Tamarindo. We loved everything and would return a hundred times if we could! Response:Kelly - we're so glad you had a great vacation! Colibri 6 is an awesome place with privacy, space and much more - so we're glad you enjoyed it too! We hope to see you back another time. 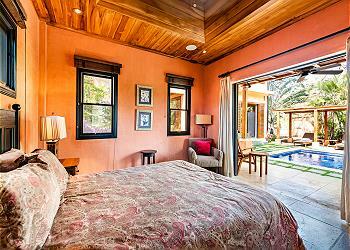 Fabulous Casa for up to 3 couples! Beautiful home in a gated environment with amazing amenities. Private yard with a pool, BBQ and outdoor furniture. Only a 5 minute walk to the beach and beach club that is included in the rental. Beach Club is an excellent amenity with free beach chairs, beach-see restaurant, pool, bar and more... Casa Colibri is only a 10 minute walk from the shopping and restaurant strip. Only negatives with this property is the significant construction within the gated community caused major a major noise disturbance during the day (if you wanted to enjoy your pool) and the furniture in the living room is in desperate need of replacement. 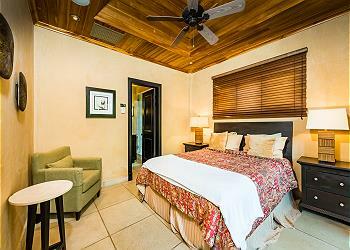 Overall a terrific rental choice if you prefer to avoid a hotel or resort environment. Response:Thank you very much for the review and so glad you enjoyed the house and the amenities such as the beach club that come with it. Tamarindo is definitely growing with some construction but expect the noise to be dying down as interior work begins. It should be noted that this unit has been undergoing a slow overhaul. All outdoor furniture was upgraded in 2016. Last year the dining area chairs were re-done. As of Spring 2018, the living area furniture has been freshly re-upholstered and updated in water-resistant Sunbrella fabrics. I can assure you on future visits, you’ll find things much improved. I don't normally do reviews but felt, after the enjoyable stay we had, was warranted. Finding and booking the place was quite easy, with a online search of the area and the response back was quick (had to do it on short notice). The location was easily found, the agency was very helpful. It's associated Beach Club is a nice 10 min walk, with access to a beautiful beach, restaurant/bar, fitness room...very nice! The place itself was one of the best we have stayed at...clean, comfortable beds, full appliances, nice beachhouse and pool. Very nice and would try and stay here again in the future. Location was super and convenient to the beach but far enough from the noisy town center to enjoy the environment. The beach club was a short walk and its superb facilities , food and service made our stay very enjoyable=a real plus if considering this rental. The house itself was private although located within a small complex of six homes. The landscaping and design of the units made you feel that you were almost alone. This property worked out well for us in that it had the pool house bedroom where we as grandparents could have some privacy yet still participate in all family activities since it faces the pool. Kitchen was well stocked and convenient and the 3 full baths were great. Large and wide doors on three sides of the downstairs all opened allowing a feeling of being outdoors. Negatives=accent lights around grounds and pool were broken and lying on ground with wires exposed ,sink didn't work in pool house , some ceiling fans didn't work and grounds needed more TLC. This property was sold as a 9/10 but it delivered a 7/8. However, with a small dollar and time investment by the owners it could easily become that 9/10. We enjoyed our stay. RPM was very efficient and everything was as they promised.We were very pleased we stayed in Playa Langosta and not in town. Smooth process with no concerns. All questions answered promptly. Easy check-in an check-out process and helpful rental agency staff. Response:Thank you so much for the review and glad you had a great time. We are here to help and hope to see you again next year! Everything was great it was a beautiful house the only thing I would suggest is to remember people sleep in the pool house as it is a bedroom it was very dusty. Also my father in law got hurt and we needed a bandaid it was an emergency he ended up getting stitches so I would suggest a first aid kit. Other than that it was great. Response:Thank you very much for the review. I am so sorry about your Father-in-law and hope he is doing well. Great idea about the first aid kit and we will talk to the owner about getting one. Thank you again for the review and hope to see you again. We enjoyed one month rental in this beautiful home and were sorry to go!!! Great location, very quiet, beautiful setting with private pool, lush garden. Very confortable, cosy and great for kids. Walking distance to everything. The beach club is always a friendly and nice place to hang around! merci de votre accueil! Hope to be back soon! Hasta luego! Response:Thank you so much for the excellent review. This house is excellent and I\'m so glad you had a great time. We hope you will come back soon! Perfect vacation. Great spot for the holidays. The house was clean and had all of the amenities that we needed. The walk to the beach is through quiet, secluded neighborhood and takes less than five minutes. The unit is privately landscaped but close enough to neighbors that we felt safe and not isolated. 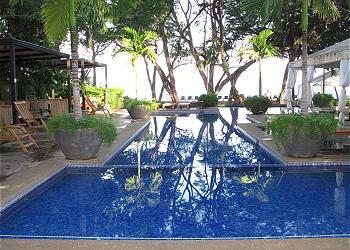 Especially nice to have the plunge pool for lounging and cooling off. We saw animals in the trees every day in the yard. There is a hill behind the parking area which is a great spot to hike to and view all of Tamarindo beach. Best spot on the beach for watching fireworks New Year's Eve. We could see fireworks from three different beaches. We used the access to Langosta beach club daily. Great spot for lounging on the beach. Access to amenities like restaurant, showers, bathroom and gym. Staff at the beach club were amazing and so welcoming. We will be back again for sure! Response:Thank you so much for the great review and so glad you had a great time. We look forward to seeing you again in the future! We spent 2 weeks at Casa Colibri. If I had to do it over I would find a place right on the water. It was a walk longer than expected to the beach. The roads to this unit vere very poor and not well maintained. The unit was to seculeted . 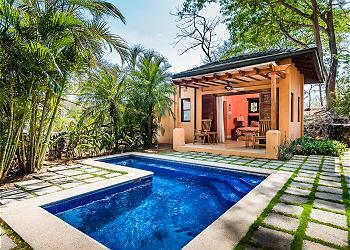 We enjoyed our stay the villa was conveniently located and provided the perfect place to relax and enjoy Tamarindo. The staff was responsive and provided great advice for activities. We loved our stay! Much thanks to Eduardo and Lola for all their assistance with everything from transportation to the best places to eat! They were very responsive and helpful during our stay. We will definitely return next year and hopefully be able to stay in the same beautiful house. The rental management team, RPM, was great. Would use them again! !